A set of business casual cliparts. In this pack, you will find 2 business characters in 2 different poses. This clipart collection is available for free download. They are cute, smart, and made in a modern flat style. 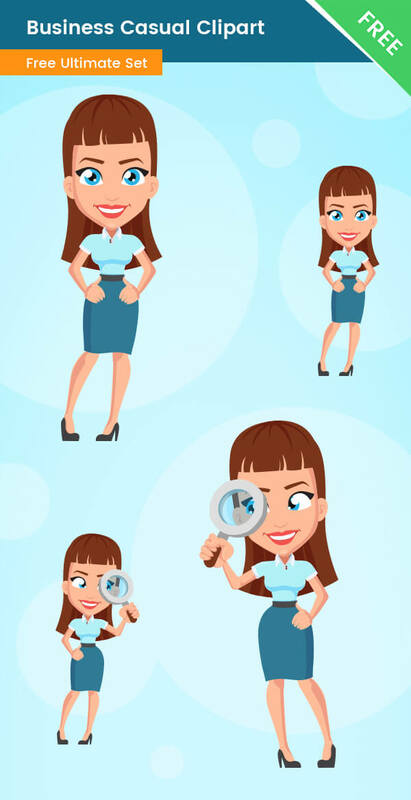 This business girl is dressed casual for work and has two poses – one normal, and one searching for new business ideas. 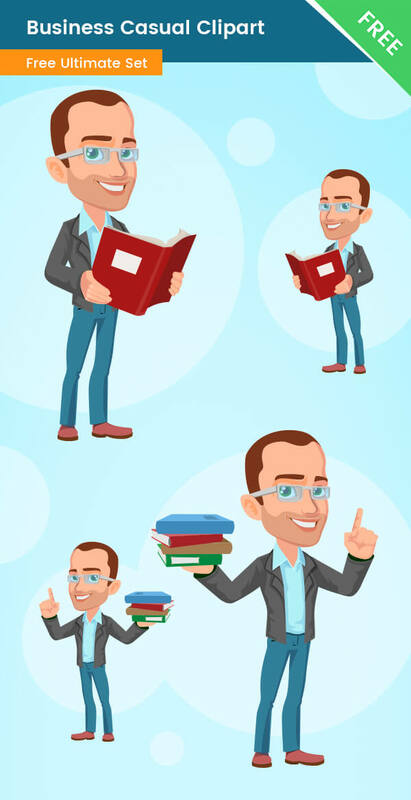 And the businessman – he has one pose holding books, and one reading a book to learn new things for his business. They are both available for free download, so don’t hesitate and grab them now without losing a penny.